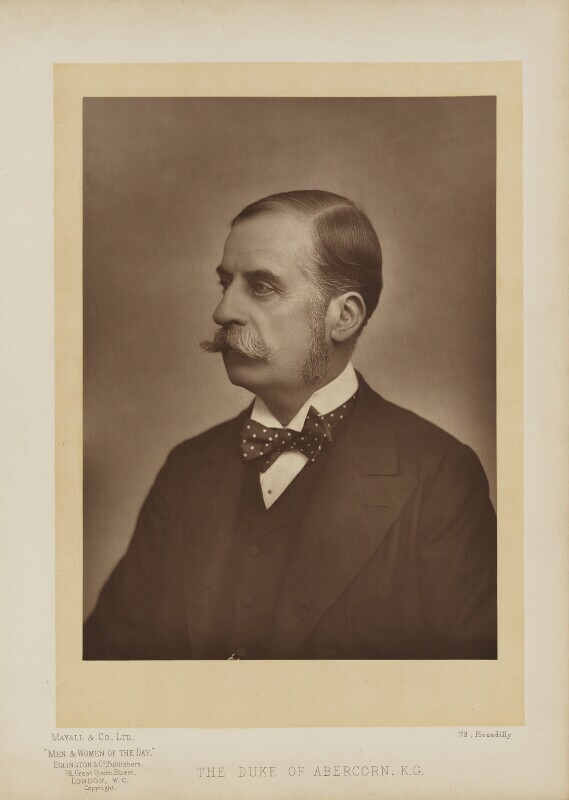 James Hamilton, 2nd Duke of Abercorn (1838-1913), Diplomat and politician; MP for County Donegal. Sitter in 5 portraits. Eglington & Co. Artist associated with 285 portraits. Mayall & Co (active 1885-1920). Artist associated with 28 portraits. Keir Hardie is among the group who formalise the Independent Labour Party, and is elected chairman and party leader at the opening conference. Gladstone continues with his campaign for home rule in Ireland, introducing the Second Home Rule Bill, which is passed by the Commons but vetoed by the Lords. Art Nouveau becomes a fully established movement in European art and design, after emerging in different countries and across different disciplines at the start of the decade. Key figures include the illustrator Aubrey Beardsley, architects Victor Horta and Paul Hankar, and the designer Alphonse Mucha. Art Nouveau is characterised by the 'whiplash' line, a decorative line which represents graphically the desire to break free from traditional aesthetic constraints. Gandhi's ejection from a South African train carriage on account of his race is the catalyst for his non-violent activism in leading the struggle for Indian independence from British rule. New Zealand becomes the first self-governing country to grant women the vote. The Chicago World's Fair is visited by more than 200 million people, with Nikola Tesla and George Westinghouse introducing electrical power to illuminate the fair.